How to Create a Gantt Chart in Excel 2007, Excel 2010, Excel 2013 & Excel 2016? We all love Microsoft Excel and we use it almost every day for everything – from a simple calculator to tracking massive projects. There’s just one thing that Excel is not good at and that is creating Gantt charts. In fact a lot of users on the internet search for “How to Create a Gantt Chart in Excel”. 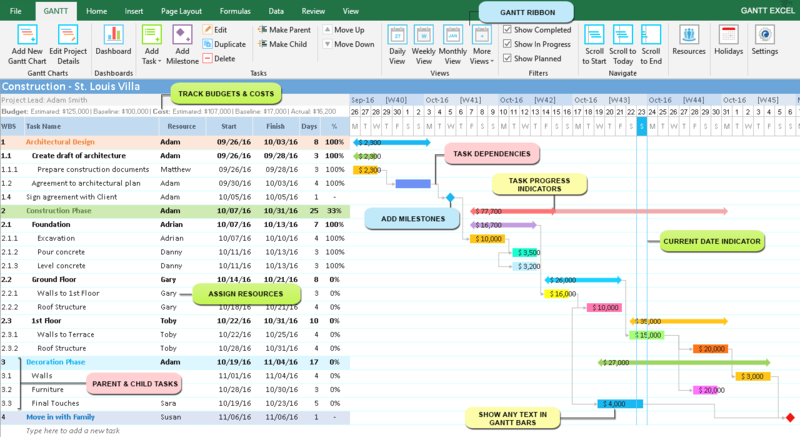 For this reason, we created Gantt Excel, an automated excel template that allows you to create professional-looking Gantt Charts all within Microsoft Excel. 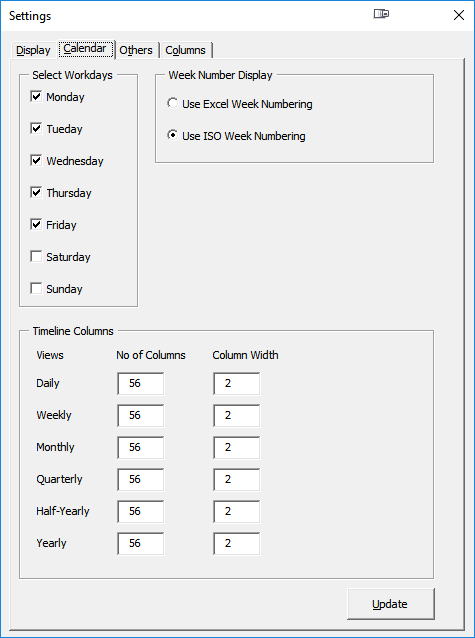 Download the Gantt Excel template if you haven’t done so already. Open the template. The enable macros prompt will automatically show up. 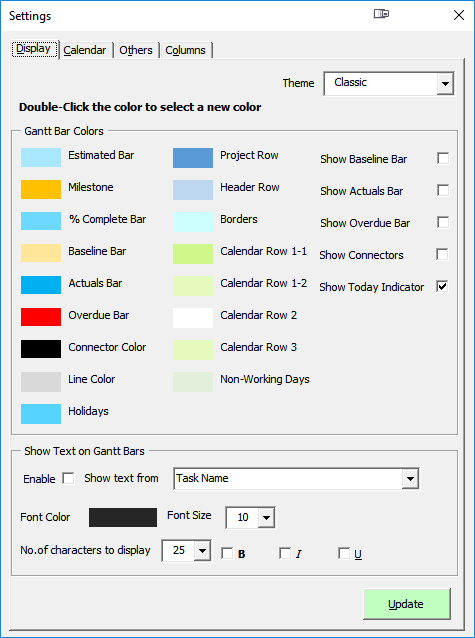 The Gantt Menu tab in the excel ribbon will instantly load (see image below). 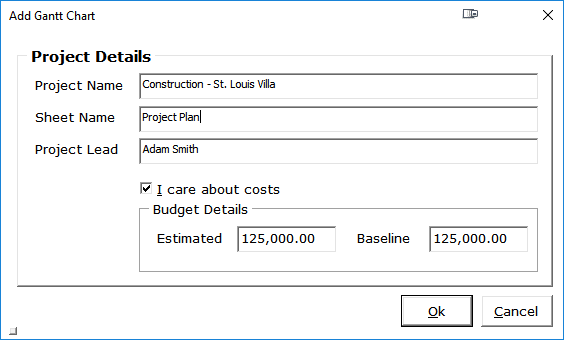 Enter the Project Name, Worksheet Name, Project Lead and the Estimated/ Baseline Budget for the Project. Kindly note that you can also use Gantt Excel to track project budget and task costs. Click the Ok button when done. 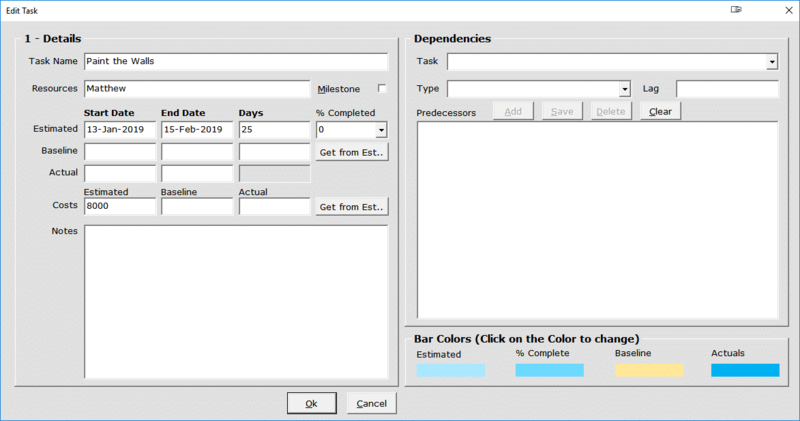 A new Gantt Chart is automatically created for you. 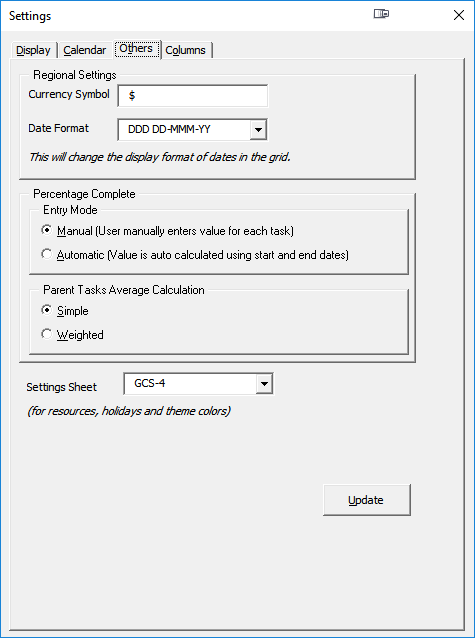 Method 1: Type directly in the excel grid. If you type a task where it says “Type here to add a new task“, it will automatically create a new task with default start and end dates and the timeline will instantly update. Task notes can also be captured to include a short description of the task to clarify its purpose or scope and to provide additional info to everyone involved. Click the Ok button when done. The newly added task will show up in the excel grid with all the details. Go ahead and add a few tasks as in the example below and set the start and finish dates. 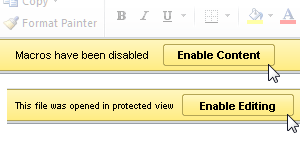 To add a milestone click on the Add Milestone button on the Gantt tab. This will bring up the Add Milestone details window. Enter the milestone details and click the Ok button when done. To illustrate, see the example below. The milestone and a diamond-shaped symbol show up in the timeline. Click on the Settings icon on the Gantt tab. By default, the Display tab opens up first. Here you can set the general theme colors including the different timeline bar and milestone colors. This is how it looks when the Show Text in Gantt Bars is enabled. We think it is one of the finest features of Gantt Chart Excel. If you want to see more of the timeline then you can increase the number of columns in each view and set the column width for each view as well. Finally, we have the columns tab where you can hide or unhide existing columns. 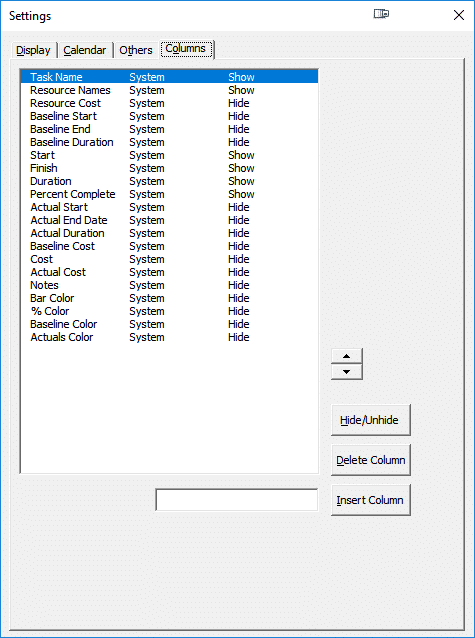 In like manner, you can also insert up to ten custom columns or delete them if required. In Conclusion, the beauty of Gantt Chart Excel is we have six calendar views to choose from namely Daily, Weekly, Monthly, Quarterly, Half-Yearly and Yearly View.